The project is targeting the industrial parks of three cities ­ Freiburg i.B., Offenburg andLahr in Germany. 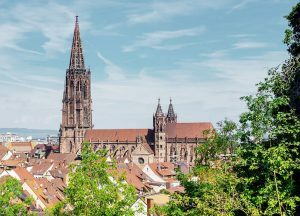 The first installations of smart devices / solutions will be done inFreiburg, which is located in the southern part of Germany, near Basel (CH) andStrasbourg (F). The project will make commercial buildings (companies, parks, restaurants or otherprofessional institutions) smarter, by improving their energy efficiency and / or securityof the buildings and its property. Approximately 100 building (approx. 300 in total) are going to be part of the project inthe first round.